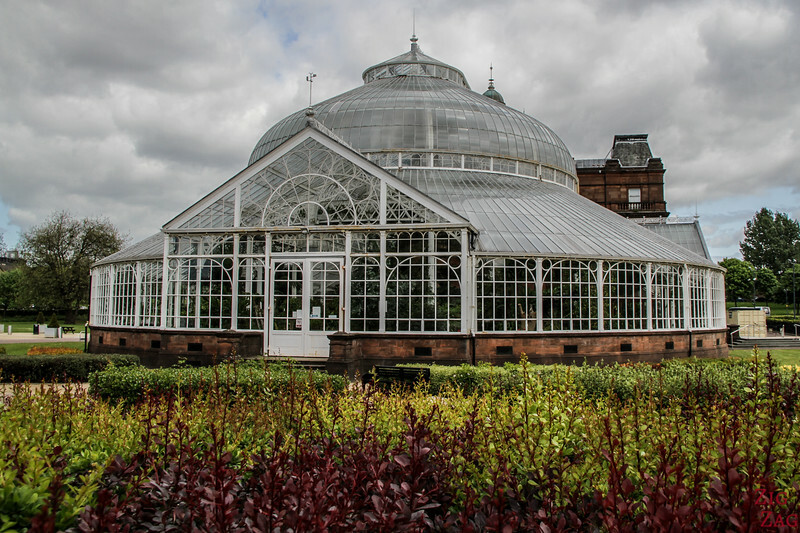 If you are interested in the history of how people lived in Glasgow or just want to find a nice place to relax while touring the city, do not miss the Glasgow People's Palace and its Winter Gardens. 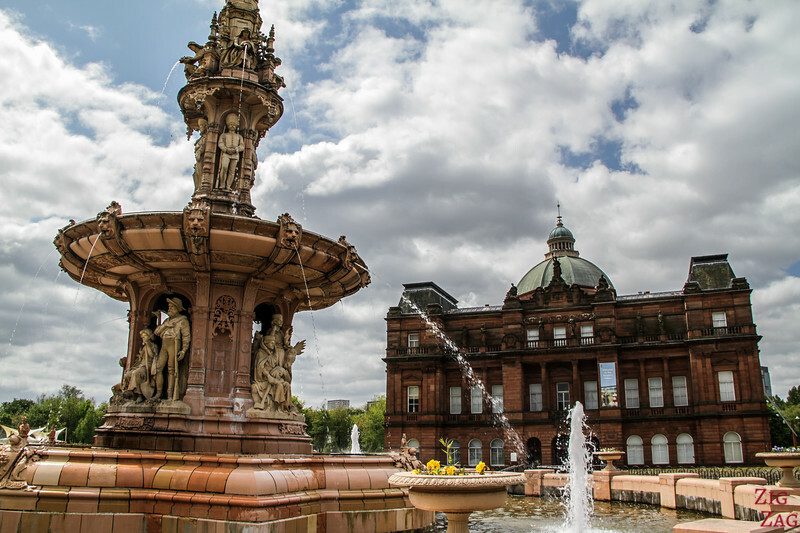 Have lunch, admire the exotic plants or the Doulton fountain and visit the free museum. 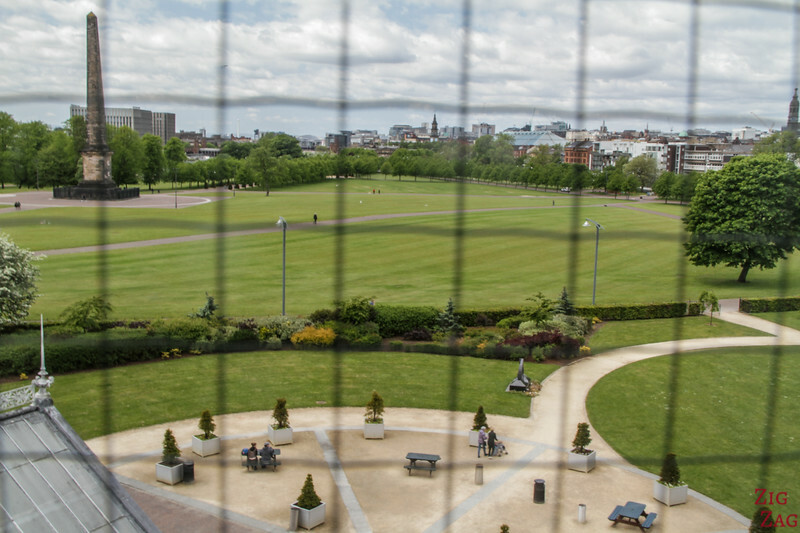 Several local bus can take you to various sides of the Glasgow Green Park, or take one of the hop on hop off bus to the People's Palace. 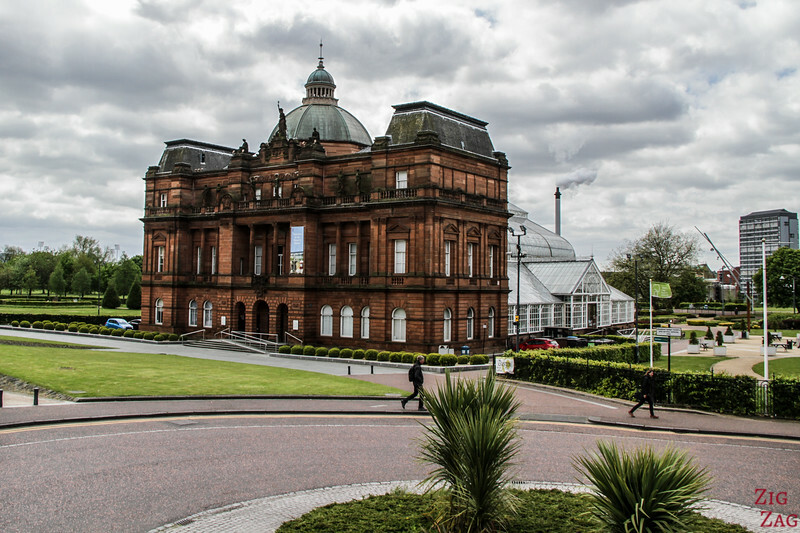 Before entering the Glasgow People's Palace, take the time to admire the place outside. 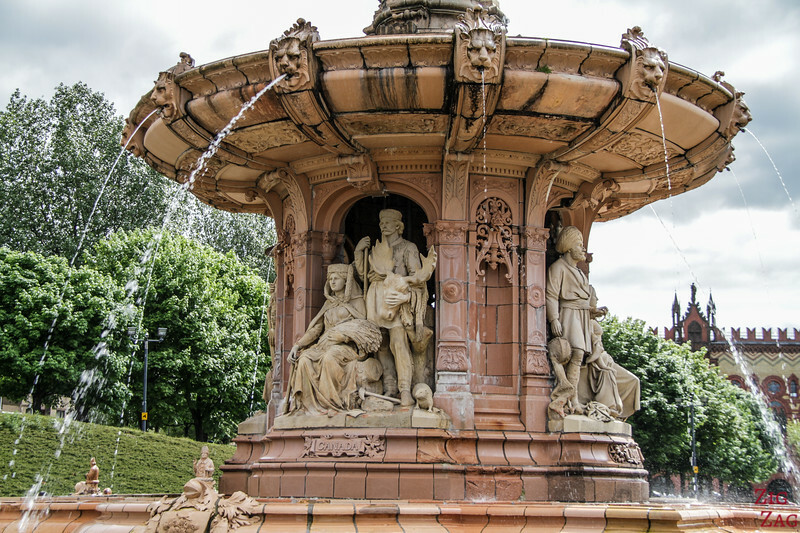 In the middle is the Doulton Fountain. Designed by A.E. 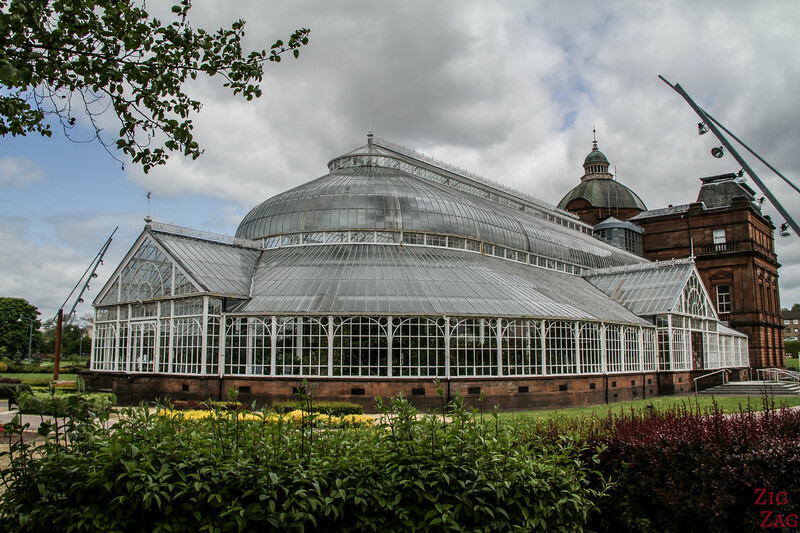 Pearce it was first erected in Kelvingrove park in 1888. The fountain is 14m high and is the largest terracotta fountain in the world. The sculptures around its center depict Britain's 4 colonies: Australia, Canada, India and South Africa. Above are sculptures of soldiers and sailors and Queen Victoria presiding at the apex. 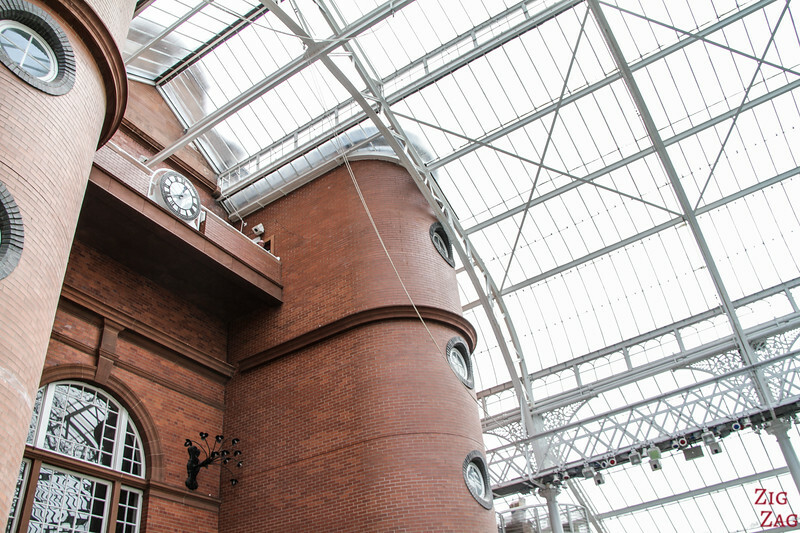 Before entering you can also walk around the Glasgow People's Palace and enjoy its architecture. 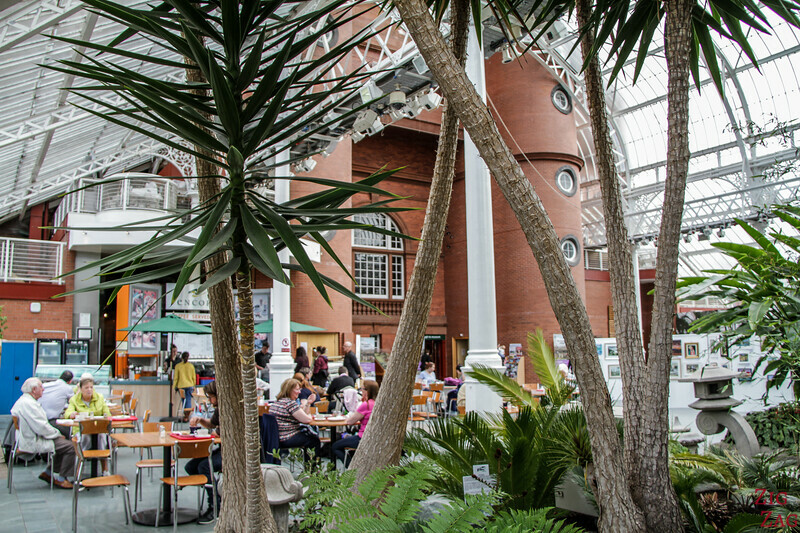 The rather austere building at the front gives places to the large veranda of the Winter Gardens at the back. Strict in the front and party in the back! 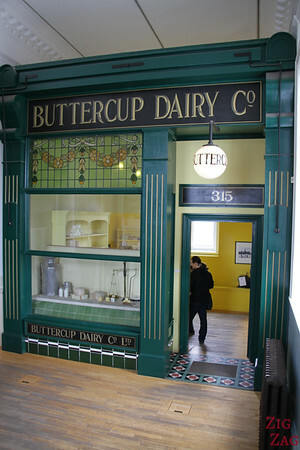 Opened in 1898, it was intended to provide a cultural center for the poorer part of the city. 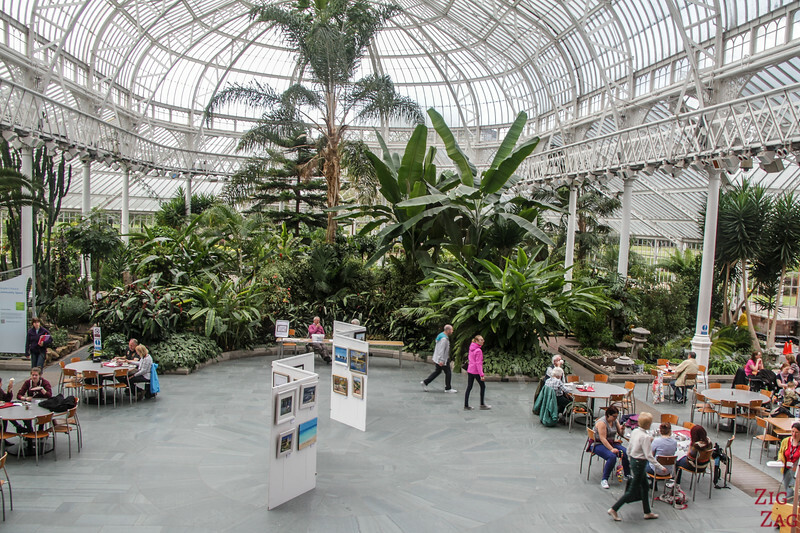 The Winter Gardens of the Glasgow People's palace is a really nice place to chill. 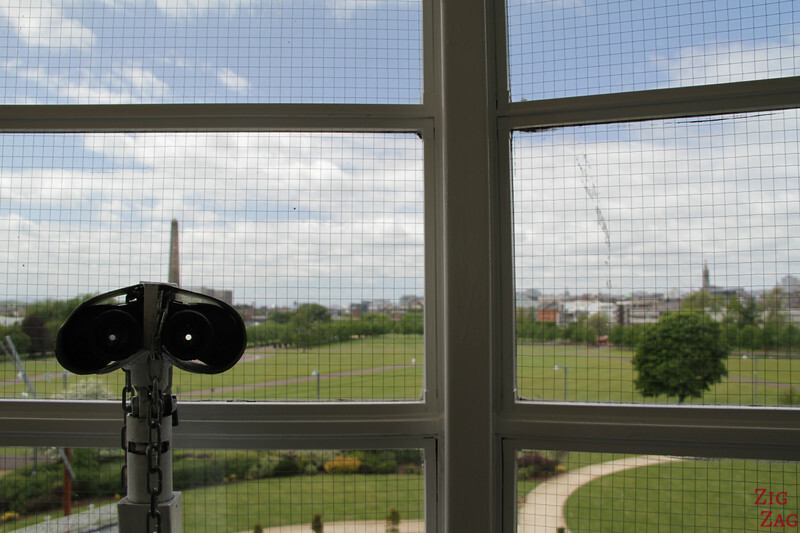 On a cold and windy day, it provides a nice atmosphere with plenty of light. A café is set up where you can enjoy lunch of tea. 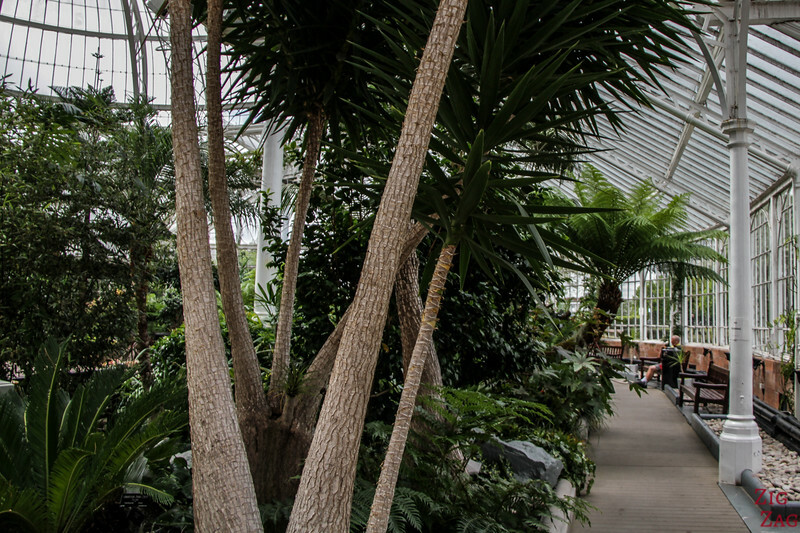 There are also many benches around to just sit and relax or admire the exotic plants. 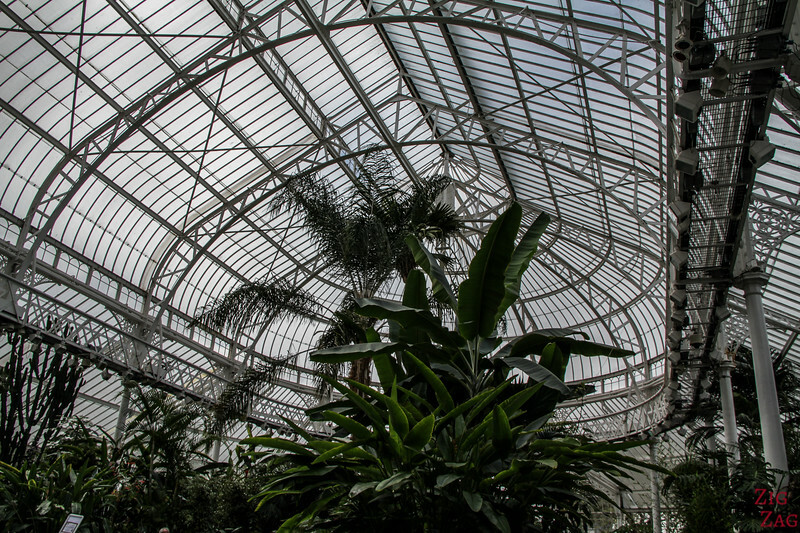 I really enjoy my break in those Glasgow Winter Gardens. 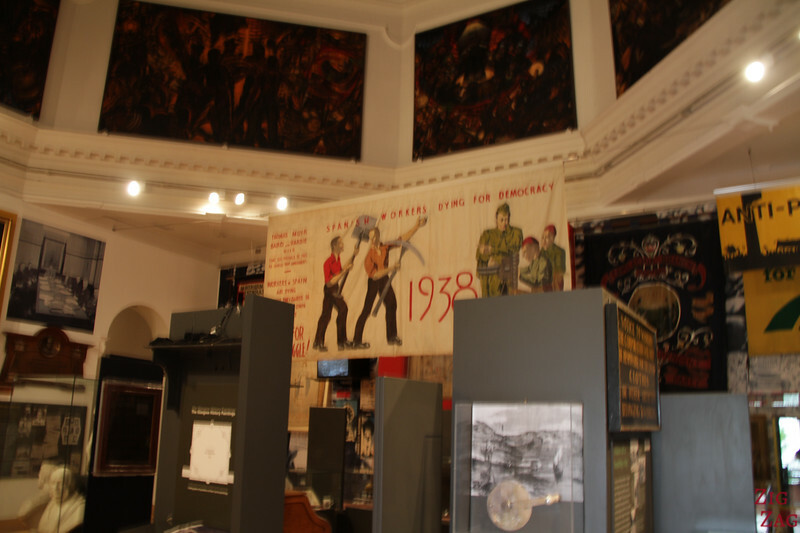 While visiting the Museum part of the People's Palace in Glasgow, do not miss the viewing galleries. 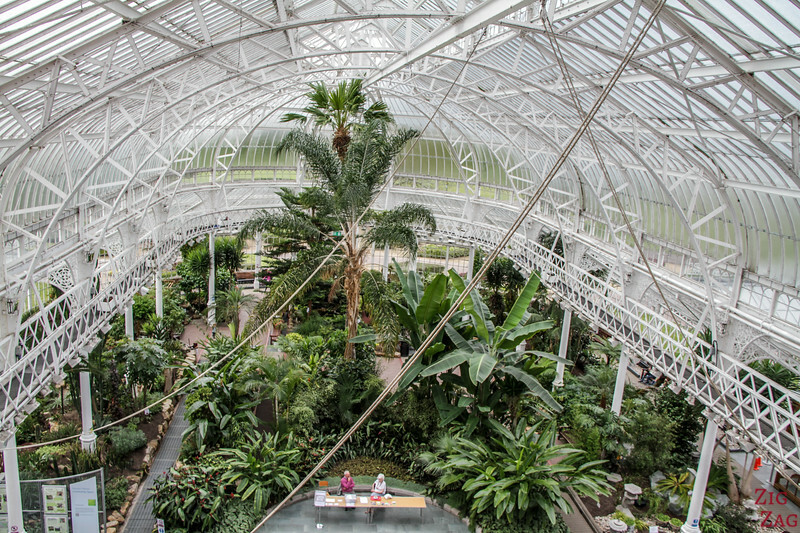 You can see the inside of the Winter Gardens from different levels. From the higher one it is great to see the architecture of the dome. 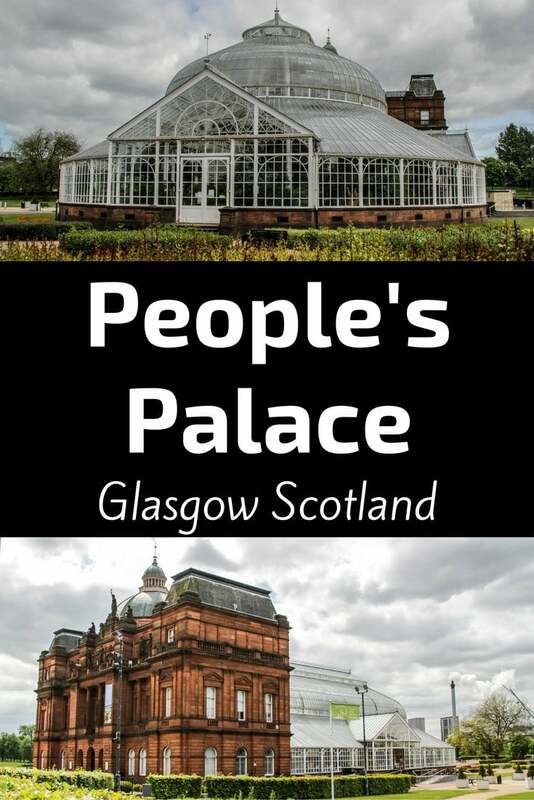 You can visit the museum for the People's Palace for free. 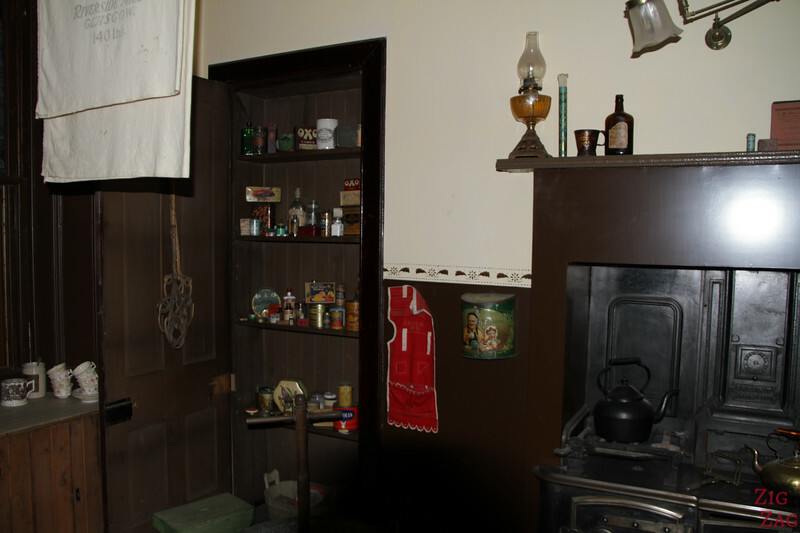 It has a strange variety of items on display. 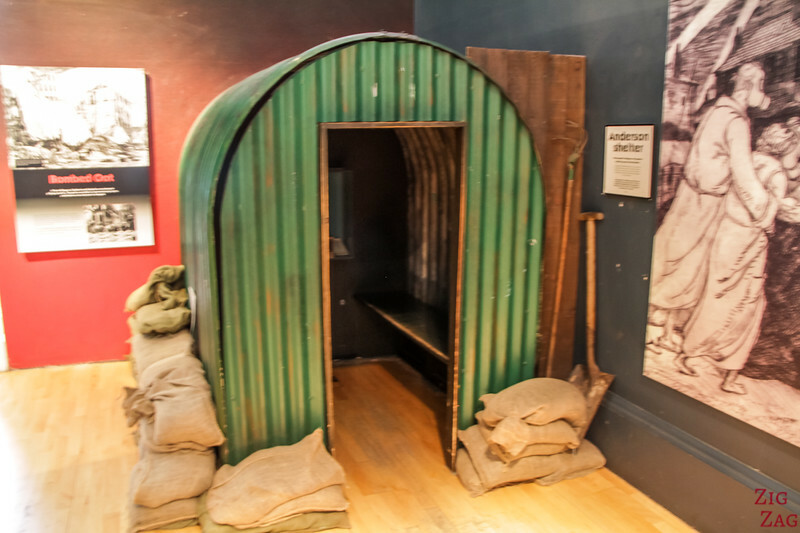 A lot of it show the life of the Glasgow inhabitants from 1750 to nowadays. 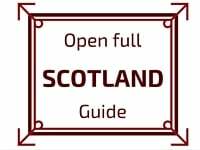 It has quite a lot of information about housing and room examples.